Palit Microsystems Ltd, the leading graphics card manufacturer, releases the new NVIDIA Turing architecture GeForce RTX series in Palit GeForce product line-up, GeForce RTX 2070 series. NVIDIA GeForce RTX delivers the ultimate PC gaming experience. Powered by the new NVIDIA Turing GPU architecture and the revolutionary RTX platform, RTX graphics cards bring together real-time ray tracing, artificial intelligence, and programmable shading. This is a whole new way to experience games. The GeForce RTX 2070 is based on the NVIDIA Turing architecture GPU armed with 2304 CUDA cores and equipped with 8GB of GDDR6 memory running at an effective clock rate of 14Ghz on a 256-bit bus. 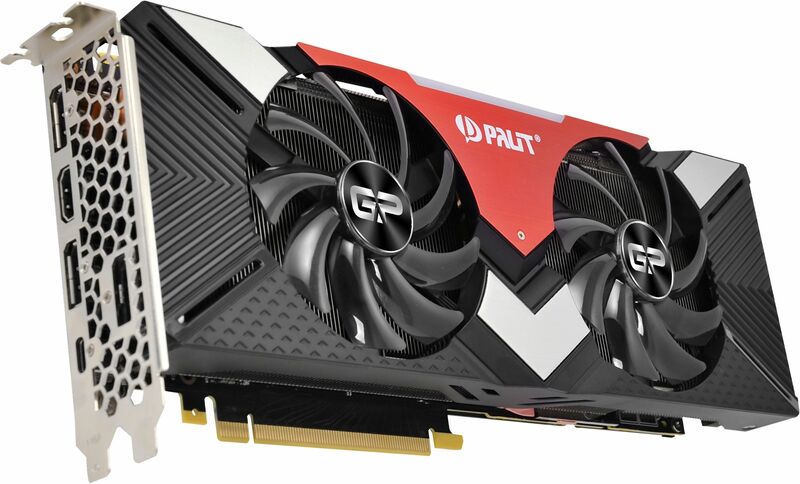 Palit GeForce RTX 2070 is designed to deliver excellent performance than previous-generation video cards and brings the power of real-time ray tracing and AI to games. With its three DisplayPort ports, the Palit GeForce RTX 2070 can provide a flawless, jaw dropping surround experience at 4K. The colour lighting from the RGB LED can be changed in accordance with graphics temperature. The temperature can easily be identified by different colours from the external appearance of the graphics card. Gamers can choose from 16.8 million colours to suit their own style and preferences. The LED Lighting effect are controlled by ThunderMaster Utility. The design of the honeycomb bracket increases the airflow by up to 15%, allowing the heat generated by the graphics card to be exhausted via the honeycomb bracket. This enables more efficient cooling.